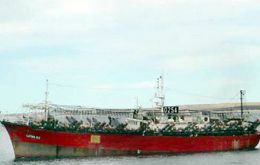 Fears of major environmental damage, prompted by the news that a Taiwanese fishing vessel the HWA JAAN 161 had grounded off one of the Falkland Islands' prime natural visitor attractions, have somewhat abated today in the light of the latest reports. 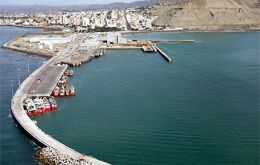 Argentine icebreaker Almirante Irizar which caught fire last Tuesday in the South Atlantic remained on Monday anchored 140 miles off Puerto Madryn waiting for an improvement in weather conditions so she can be towed to Puerto Belgrano. 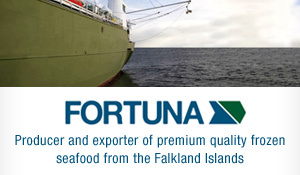 The Falkland Islands Fisheries Department has been preparing its case for the continued allowance of controlled trawling on the high seas. 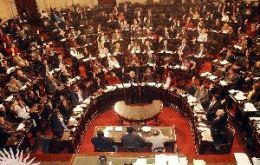 After some modifications were applied, the House of Representatives approved on Wednesday, 11 April, a draft law consisting of tougher sanctions on fishing companies that have interests in Argentine waters and operate in the Falkland waters. At the Falkland Islands Government Fisheries Committee meeting on Wednesday April 4th, Director of Fisheries, John Barton, reported that the Loligo squid fishery had a slow start. Catches to date had totalled 11,000 metric tonnes as compared to 16,500 metric tonnes for the same period last year. 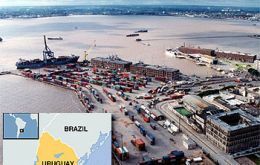 Uruguay has plans to improve Montevideo port facilities with the purpose of attracting the Spanish fishing fleet operating in the South Atlantic.